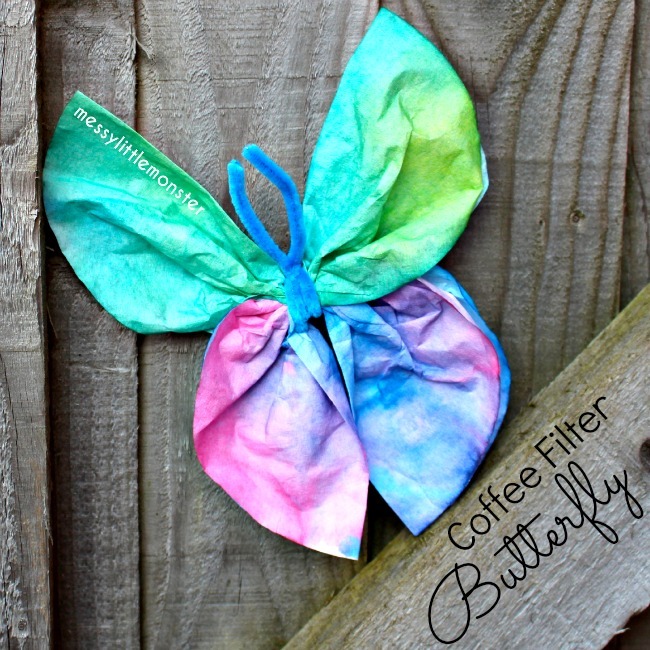 Colour mixing using coffee filters is a really fun art process. 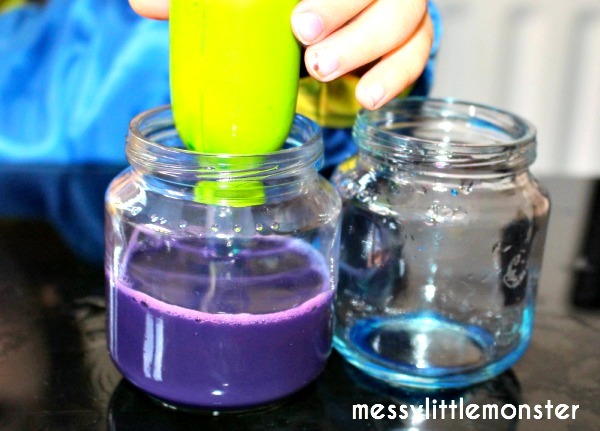 Kids can see for themselves all the different shades of colours that can be made by mixing 2 (or more) colours together. 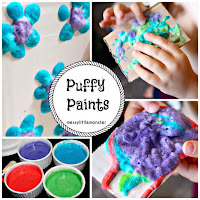 It is fascinating to watch as the paint spreads and is absorbed by the the coffee filters. 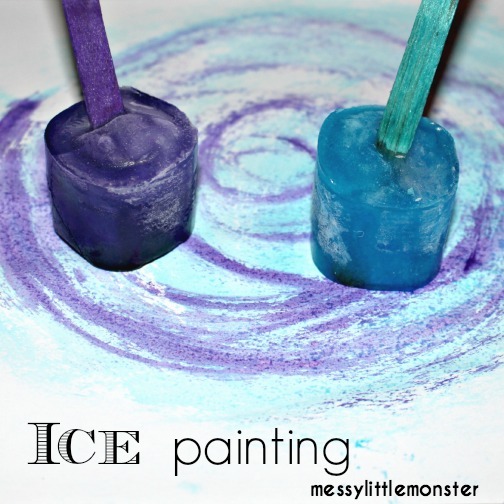 Using jumbo eye droppers makes this a simple activity that works on fine motor skills. 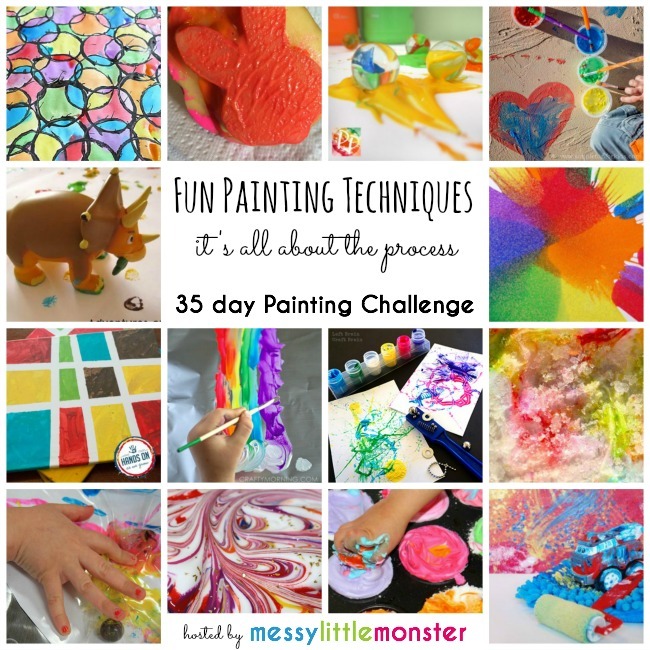 We used the 3 primary colours, red (ours was a bit pinky), yellow and blue to see what secondary colours we could make. 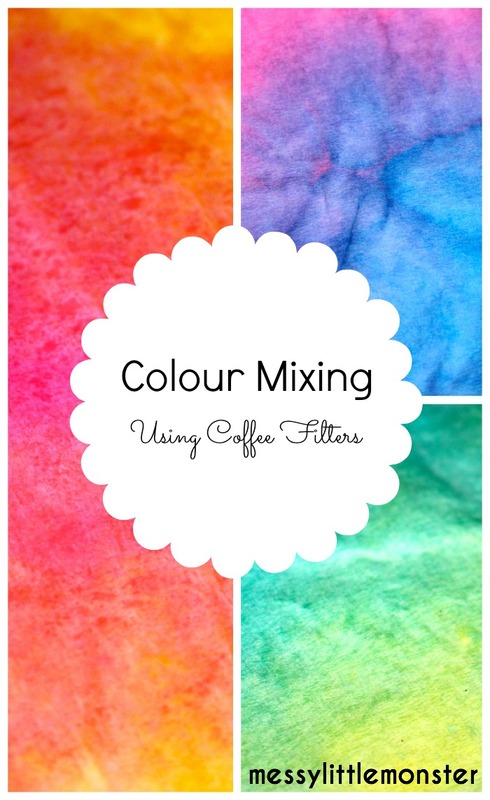 We chose two colour to use on each coffee filter. 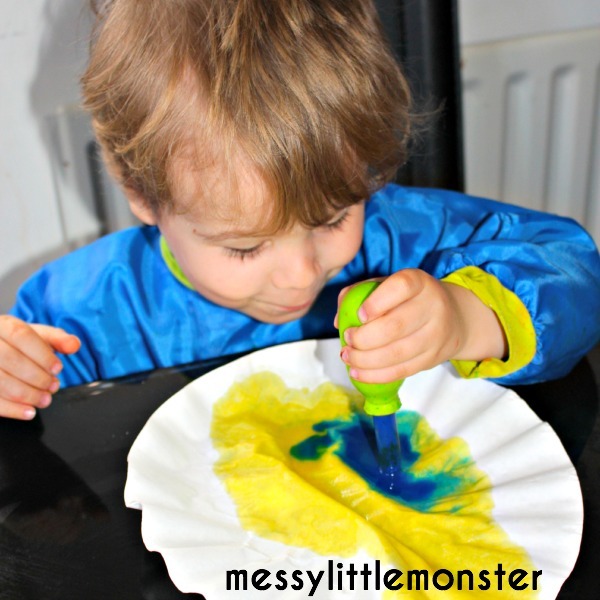 We used our jumbo eye droppers to drop the paint onto the coffee filters. 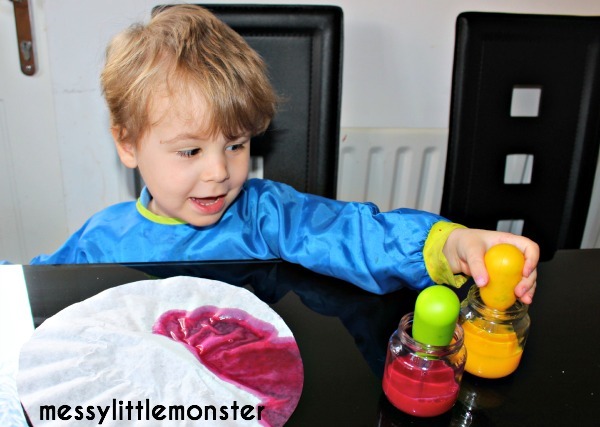 Harry was fascinated by all the different colours he created. There were so many shades of each colour and I love how vibrant the colours were. 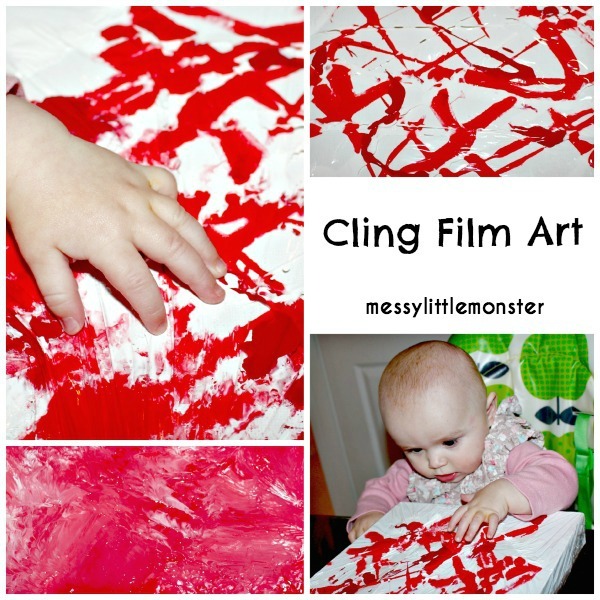 We used several coffee filters together to absorb all the paint. 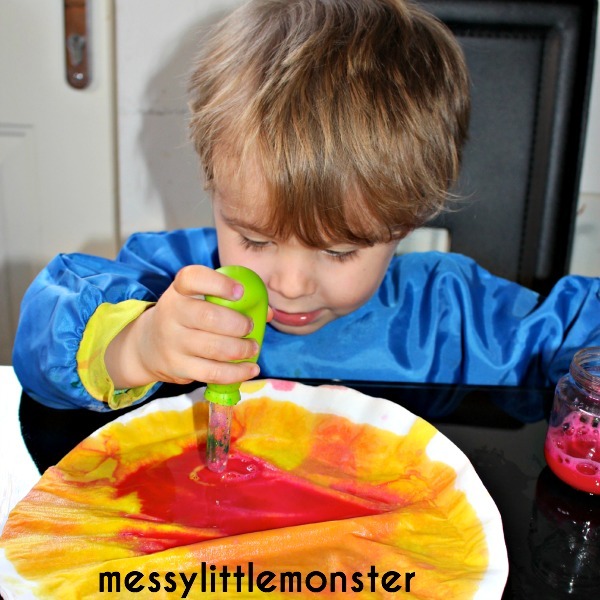 Harry loved this art process but he decided it was easier to mix the colours by tipping the pots of coloured paint together! 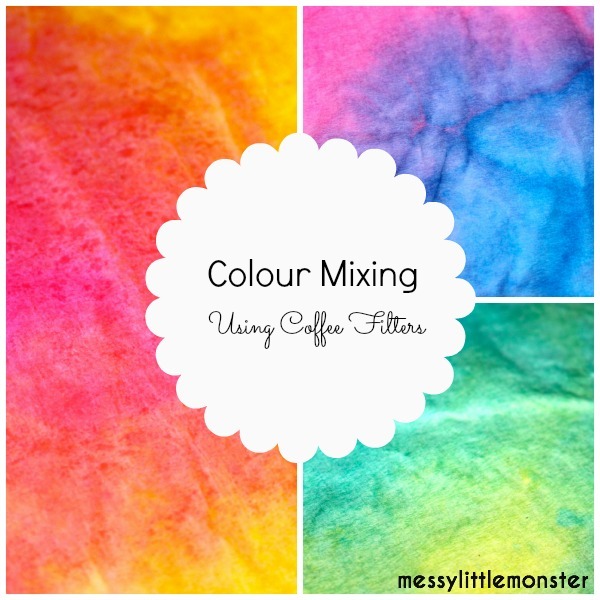 This colour mixing activity using coffee filters is part of a series called 'Learn with your Craft Stash,' hosted by 'Life Over C's'. 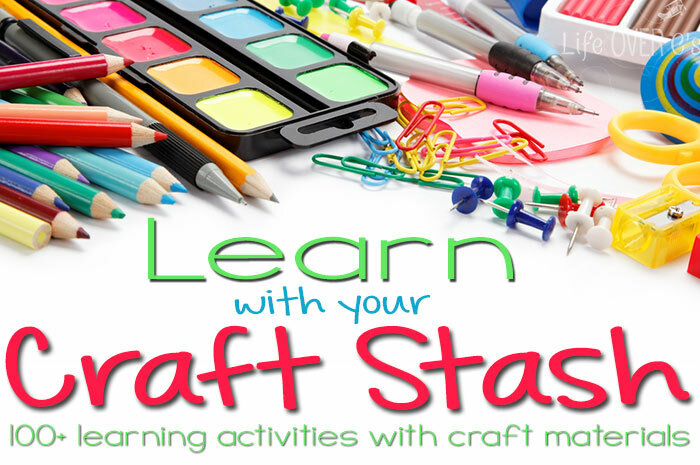 To find other learning activities using coffee filters (and a whole load of other things you might have in your craft stash) click on the image below. 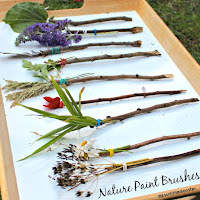 Such a gorgeous activity! Looks like Harry had lots of fun!! Thank Amy :-) He loved it!